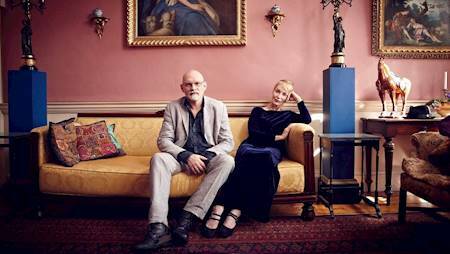 Dead Can Dance are coming back to Poland for two shows. Brendan Perry and Lisa Gerard will perform at Torwar in Warsaw on 21st and 22nd June, 2019 as a part of their new album “Dionysus" promotion. Album to be released on 2nd November 2018. 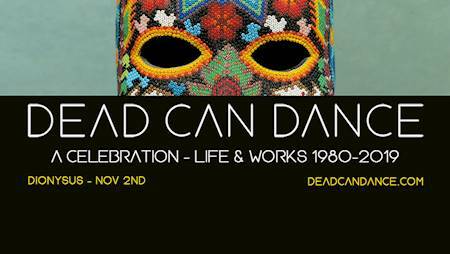 Dead Can Dance tickets available soon! From their inception in 1981, Australian duo Dead Can Dance have long been intrigued by European folk traditions, not solely in musical terms but also by secular, religious and the spiritual practises. Taking its inspiration from this backdrop and shaped as Brendan Perry explored the long and established spring and harvest festivals that originated from the Dionysus religious practices, a journey that brings to the fore, the rites and rituals that are still practised to the present day. Two years in the making, Perry has amassed an array of folk instrumentation and as often heard on previous albums takes inspiration from across the world, tracks evolve less like songs more akin to fragments of the cohesive whole. “Dionysus” follows a familiar path, witness to field recordings, that includes chanting, beehives from New Zealand, bird calls from Latin America and a Swiss goatherd. The aim in Perry’s mind is to not just invoke the atmosphere and symbolic reference points but to highlight that music can be found everywhere in some form or other.